Doraine Bennett opened Yoga Inspired in June of 2014. She came to yoga with a history of low back pain almost twenty years ago. She enjoys creating a safe environment for anyone to find the benefits of using movement to connect the body, mind, and spirit. Her teaching is clear and mindful. And she always makes space for students to hear the still, small voice of God. Doraine studied with Iyengar teacher, Sarah Nordin. She has attended workshops/teacher trainings with Dayna Gelinas, Lori Smith, Mary Obendorfer and Eddy Marks, Gina Minyard, Leslie Howard, Livia Cohen-Shapiro, Jenni Rawlings, and Jules Mitchell. Her 300-Hour Advanced Teacher Training was with Dayna Gelinas, New Day Yoga. Doraine is a children’s book author with over 30 books published who loves writing, poetry, and reading. She has been married to Cliff Bennett, director/counselor at Grace Counseling, since 1975. They have four children and nine grandchildren. Besides yoga, She enjoys gardening, blowing bubbles, and watching birds in the backyard. Jeanetta started practicing yoga simply to combat the injuries that came with too much running and triathlon training. She always thought of yoga as the necessary regimen that would add stretching to her workout routine. It wasn’t until after she had her first child and used yoga to recover abdominal strength from an emergency c-section that a true appreciation for yoga emerged. Since then, her love for the practice has grown, as well as a deeper understanding of how God not only uses yoga to heal our bodies, but heals our hearts and draws us into a deeper relationship with Him. Jeanetta completed her 200 hour yoga training with Doraine Bennett at Yoga Inspired. She has also worked with Deb Flashenberg the founder of the Prenatal Yoga Center in New York City, to complete her 85 hour prenatal yoga certification. She is currently working with Dr. Sarah Duval, a pelvic floor physical therapist, to complete her postpartum corrective exercise specialist certification course. Jeanetta grew up in Columbus and after being away for ten years, moved back and met her husband, who is stationed at Ft. Benning. They have one son who is forever getting dirty and keeping them laughing. Jeanetta is passionate about supporting other moms through their own process of healing and regaining strength to support a healthy, movement-filled life. Elise has been practicing yoga for over 13 years, attending classes at several local studios. For three years she studied with Sarah Nordin, a certified Iyengar Yoga teacher. Elise has attended yoga workshops with Eddy Marks, Mary Obendorfer and Livia Shapiro-Cohen. 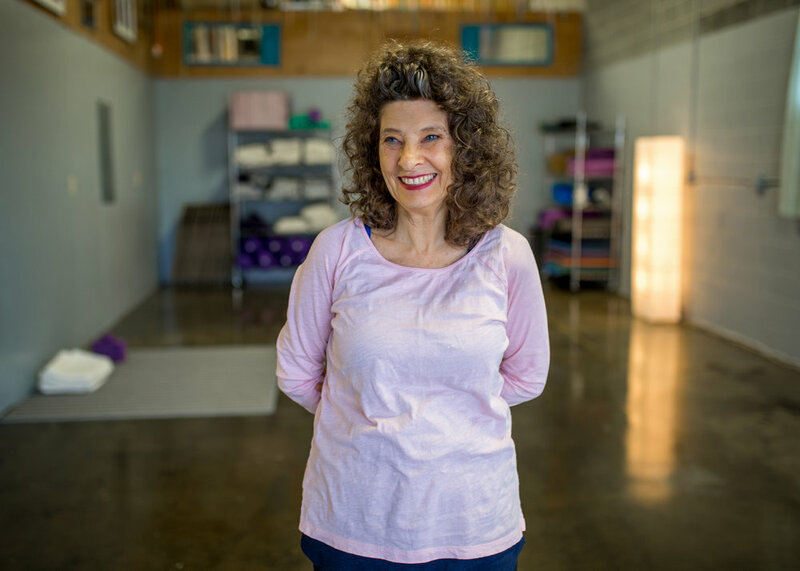 In February 2017 at the age of 70, Elise completed her 200-hour teacher certification at Yogafly in Auburn, Alabama. Practicing and teaching yoga is one of her life passions. Elise and Bob, her husband of 52 years, own Feinberg Center for Well-Being since 1982. Their passion is to teach people to live a balanced lifestyle and eat healthfully. They have two children and five grandchildren. Elise believes you can do yoga and benefit at any age. Anna Graves began her yoga journey during veterinary school to help bring balance to a stressful career. As a yoga instructor, her focus is on finding calmness in a stressful world and to help students learn new ways to decrease anxiety. She also loves to lift weights and strives to sneak strengthening movements into her yoga practice. As a medical professional, she often weaves her knowledge of anatomy into the practice as well. Come to her classes ready to work hard and enjoy the journey! Anna is devoted to her career and loves working with animals. She grew up in Harris County and enjoys living there still. She has a border collie, Mulligan, and a cat, Ryoko. She loves to lift weights, run and hike. Her family is very close and on weekends she enjoys spending time with her nieces and nephews. 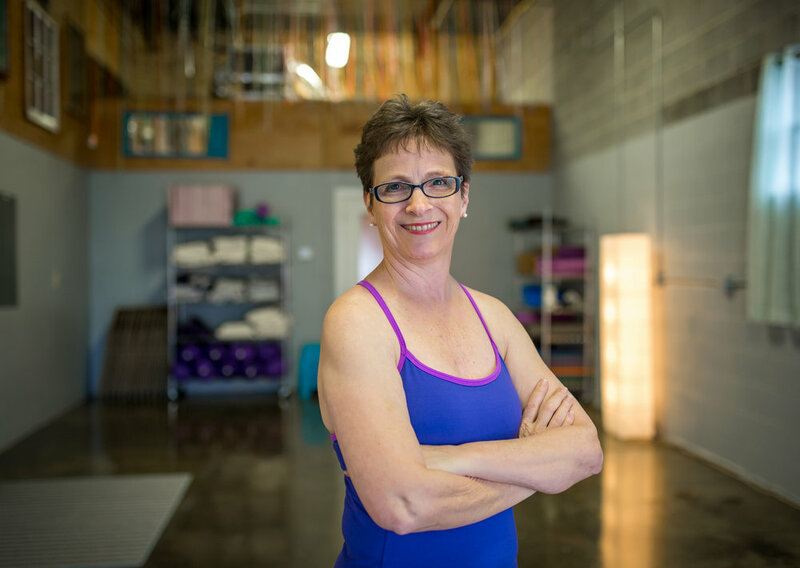 Sue has been practicing yoga for over 20 years, holds an MEd, ACE, CPT, and a 200-hr yoga teacher certification. She recently enhanced her qualifications with anatomy, health care, and exercise science at Columbus Tech. Whatever your issues may be (and we all have some), Sue can design a custom program for you in private or semi private sessions at Yoga Inspired. Sue is passionate about keeping fit and feeling good as she ages. She has the training and knowledge base to help you, too. And she makes it fun. Sue is a grandmother, a local artist, and an avid organic gardener. Susan has studied yoga in both the BKS Iyengar and Hatha yoga traditions since 2013. 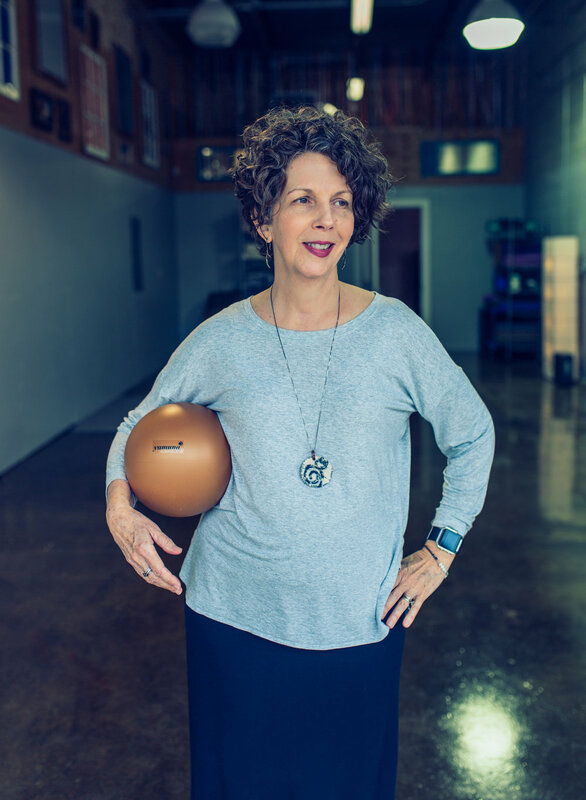 A true believer in lifelong learning, Susan practices meditation and strength training and, in 2017, became a certified practitioner of Yamuna Body Rolling (YBR), a revolutionary approach to health and fitness using balls designed exclusively for this practice. She has also been studying to be a Life Coach in order to help holistically with mind, body and spirit. She believes each person has unique potential and can be the best version of the age that they are now. Susan is a musician who studied at Juilliard and for years was an on-call player with the Atlanta Symphony. She loves gardening, sewing and making art with fiber, paper, and paint. Meredith was drawn to yoga years ago, intrigued by the combined benefits of strength and peace in one activity. For several years, she practiced more on than off the mat , each time falling more in love with the experience. With a deep and personal love for Jesus Christ, it was a natural place to spend time with Him. Frequently it was her only time to spend with Him where she could be still in special moments of peace and devotion. Her mat became a unique place where she could bring her weaknesses to Him without shame or judgement from others. Her practice became deeply healing--physically, emotionally, and spiritually. Meredith's training is through Yoga Faith, and she is a Yoga Faith Ambassador. Her desire is for everyone to experience true freedom from those things that weigh us down. Meredith's well-rounded classes invite you to bring your whole self to the mat.